Growth is coming from performance marketing and digital design and build. Karmarama plans to hire up to 100 staff in London in 2019, as it claims parent company Accenture Interactive’s "experience agency of record" proposition is paying off. Ben Bilboul, chief executive of Karmarama, who was speaking as the agency marked the second anniversary of its sale to consulting giant Accenture, said Karmarama's revenues have increased by about 20% in each of the past two years and have risen ahead of staff headcount. The agency currently employs more than 300 people and the hiring spree would likely increase its size by up to a third. "That’s partly to catch up with growth [in the] last year; it’s also anticipated growth next year," Bilboul said. He pointed to low staff churn since the deal – "in the teens" as a percentage and "significantly less than the industry average" – and the agency’s continued presence on The Sunday Times' Best Places to Work list as evidence of a cultural fit with Accenture, a $100bn company with nearly 500,000 staff. The industry average churn rate is 32%, according to the IPA’s latest census. Bilboul and five other Karmarama executives, including executive chairman Jon Wilkins, who all became managing directors of Accenture Interactive when they sold the agency, have stayed on. They have not disclosed how much they personally made from the sale. Accenture Interactive, the consulting group’s digital and marketing services arm, has positioned itself as an experience agency of record. It defines this as "a new breed of agency" that can manage all aspects of the customer experience, from innovation and idea creation to product development, advertising and sales, data and analytics. Bilboul said Karmarama has picked up customer experience work with at least three clients, Maserati, Shell and GlaxoSmithKline – all of which have hired Accenture Interactive as an experience agency. Such work tends to involve "bigger", "longer-term" projects and that has meant Karmarama has fewer clients, according to Bilboul, although he declined to provide exact numbers. "We’re working on fewer, bigger, better projects," he said. "We are interested particularly in working with clients, where we can bring a combination of services together, where we’re having some strategic impact and if there’s some sort of shared risk and reward." Biboul said Karmarama continues to do some work on its own, but there is "a broader play" with other parts of Accenture Interactive. "It’s being sensitively handled because what we’re trying to balance is the maintenance of our culture and the type of work that we think motivates our staff, but also to make sense of the combinations of offers we have with Accenture Interactive," he said. "We think the answer to integration [with Accenture Interactive] is to integrate around client projects because what we’ve seen again and again is if you can demonstrate it with a client and point to work that you’ve been able to develop as part of a bigger family, it’s the best way of explaining where we want to go as a business." Bilboul said the core Karmarama business remains "healthy" and "a lot of the growth we’re seeing" is in two areas – performance marketing and digital design and build. 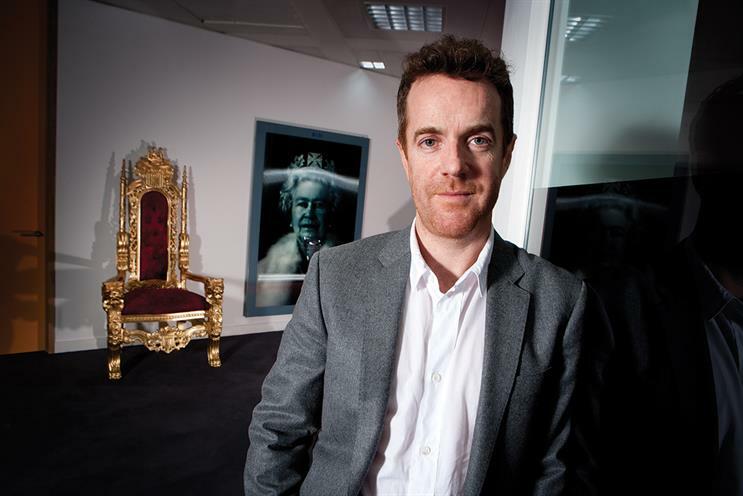 He added that "the creative offer within Karmarama isn’t shrinking", despite negative trends in some other parts of the ad agency sector. "We want Karmarama to continue to deliver creativity and empathy to our clients as part of the broader Accenture Interactive proposition," Bilboul said, explaining the rationale for the recruitment drive. "I think this is a good home for creative people – that’s our message to the market. "We’re not trying to become entirely digital or entirely data-focused. This is a place where what you might term right-brain thinkers [who understand creativity] should flourish and grow and add value." Karmarama is particularly keen to hire people who combine both emotional and rational skills – both right- and left-brain thinking. "The skillset that is in really high demand and short supply everywhere are those ‘whole brain’ thinkers who can co-ordinate creativity, empathy, data and technology," Bilboul said. "Those are the people who are looking at the highest level to partner with clients." Karmarama’s investment in new talent comes at a time when some big network creative agencies have been struggling and, in the case of WPP’s Ogilvy and Y&R, making redundancies. WPP has repositioned several of its agencies to be more focused on customer experience, merging VML and Y&R to form VMLY&R in September and J Walter Thompson with Wunderman to form Wunderman Thompson this month. Lucinda Peniston-Baines, managing partner of The Observatory International, which advised Nando’s on its recent UK creative pitch that Karmarama won, said: "Karmarama has performed well and picked up some decent chunks of business." However, she believes that Karmarama has been "quieter" in terms of the amount of "cut-through, high-profile creative work" that it has produced since joining Accenture as it has focused on the broader customer experience. "Karmarama was held up as one of the more creatively interesting, fully integrated shops in London, which is why Accenture bought it," Peniston-Baines said. "If that work becomes less visible, it potentially takes the gloss off. They need to keep an eye on that and ensure their creative potential is maintained." Campaign broke the news that Accenture was in talks to acquire Karmarama and the sale, which was announced on 29 November 2016, was widely seen as a pivotal moment that signalled consulting groups were seriously entering marketing services. Accenture Interactive went on to buy more than a dozen agencies, including The Monkeys and Maud in Australia, Sinner Schrader and Kolle Rebbe in Germany and Rothco in Ireland. Karmarama has picked up international work but has not opened an office outside the UK. The agency's most recent accounts at Companies House for the 16 months to August 2017 – a period that covers both before and after the sale – suggest revenues rose an estimated 15% on an annualised basis.